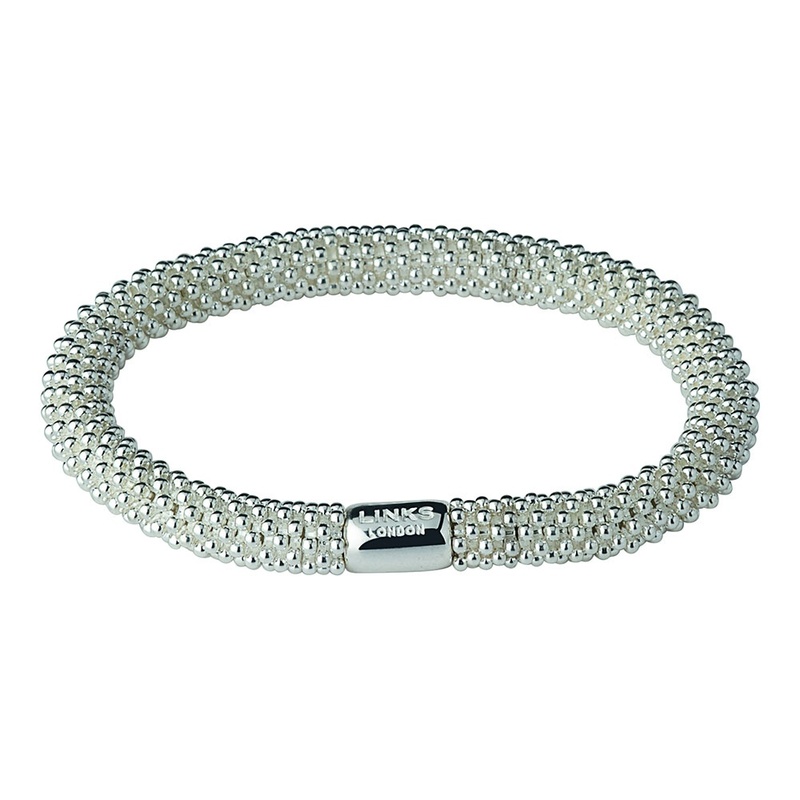 Sterling silver iridescent star-shaped beads that appear to glow from within nestle together on this striking Effervescence Star Bracelet, to create a beautifully tactile jewellery piece. It's sure to be a big hit with fans of the Sweetie bracelet - stack XL or pearl versions for impact, or attach a charm of your choice. The Effervescence collection can be treasured by all women. It represents joy and celebration and will have a special bond with each woman who wears it..